Since it was first established in 1983, Humanscale has spent the last 30 years building an amazing reputation as a creator of ergonomic office furniture. They constantly strive to produce office accessories that are ergonomic and high-performance. Because of their creativeness, Humanscale was recognised in 2004 by the exclusive designing community. They were named one of the top ten “best companies worldwide that helps push design forward” by ID magazine. Humanscale doesn’t just blend in with the rest of the world. In the late 1990s this company was able to leave its innovation mark on the world with the articulating keyboard system. This incredible high performance piece of technology allows for one-touch adjustability and completely gets rid of knee-clearance problems. 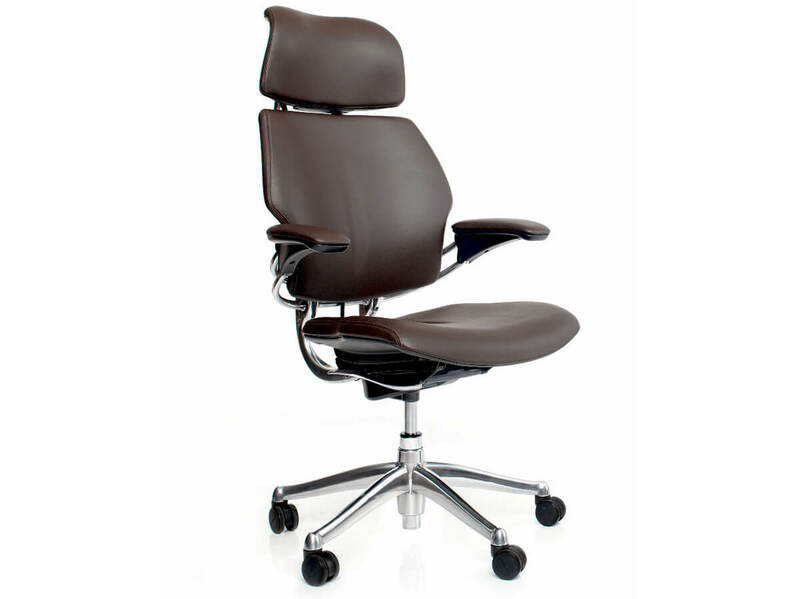 In 1999, Humanscale stormed the office furniture world with the launch of a new style of ergonomic office chair called the Freedom chair. This new ergonomic chair features controls that adjust themselves to the individual requirements of each person that sits in it. In just 10 years, Humanscale has sold over one million Freedom chairs. As mentioned above, the Freedom chair is the best-selling product from Humanscale and has won a total of 10 different design awards. Through the launch of this chair, its designer, Niels Diffrient, completely revolutionised the office furniture industry, and each chair undergoes an ergonomic office assessment. It combines all the very best features into one comfortable package, including armrests than can be adjusted in synchronisation, an ergonomically positioned headrest and a recline option that is weight sensitive. The design ensures that the user is kept in complete comfort at all times and can significantly reduce the risk of long-term injuries. No workstation is complete without a selection of computer accessories from Humanscale. Each one of these unique creations can provide a solution to a work environment problem, and many of them have been proven to increase comfort, decrease fatigue and boost productivity. 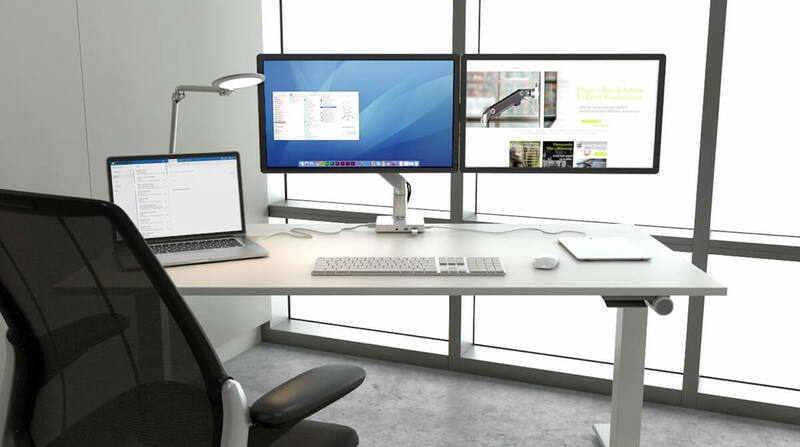 One of Human Scale’s best selling accessories is the M2 monitor arm, which can be fitted to any office desk. The M2 monitor arm can be adjusted to suit every user. Other products from Human Scale include desktop lighting, CPU holders, laptop holders and footrests. The latest addition to Human Scale’s portfolio is the Float height adjustable desk. The key features of this desk is it’s travel from 700mm to 1200mm and it’s unique counter balance mechanism offering near effortless height adjustment. As the name of the company suggests, hardworking people are at the heart of the Humanscale company. From the moment you place your enquiry with Rapid Office and before you confirm your order, a member of the team will calculate a price for you depending on your design and the materials involved. But one thing’s for sure, it’ll be hard to find more competitive price anywhere else. Here at Rapid Office, we have an excellent relationship with Humanscale. Contact us now for professional service, expert knowledge of the office furniture industry, and the latest products from this manufacturer.